You guys. One of my organizing ideas is on HGTV.com right now! I can barely hold in my excitement. Here's what happened. 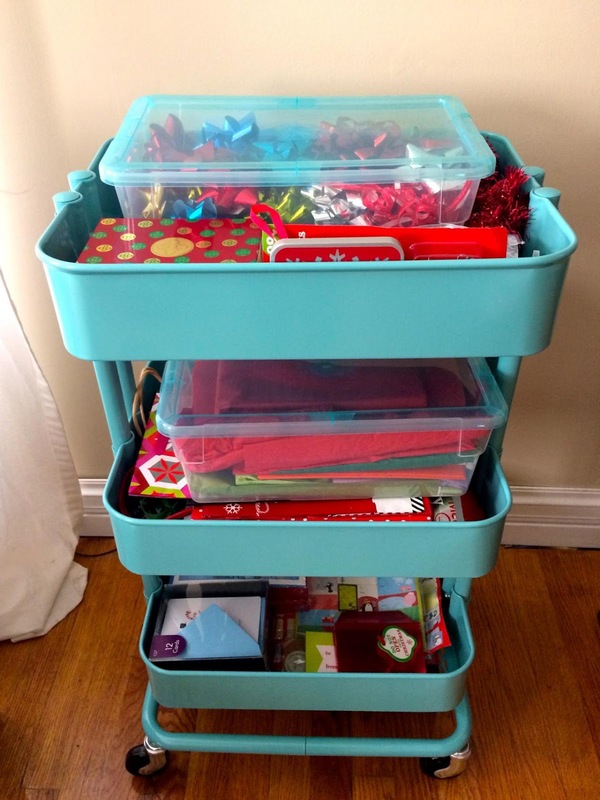 This summer, amid planning a wedding and a bazillion emails in my inbox, I got a message from a writer for HGTV.com that she wanted to feature my portable holiday gift wrap station for a Holiday Organization article she was working on. At first I kind of questioned whether it was even legitimate (I mean, it's not every day that you get featured on the website of one of your favorite TV stations), but I signed the release and sent her a hi-res image of my gift wrapping cart, and now it's live on the HGTV website! The idea seemed so simple to me at the time and I had a need for it, but I never imagined someone else would see it and think it's a great idea, too. I guess that's one of the cool things about blogging. You never know who else is going to see your projects and ideas and want to share them as well. Here's the link to the photo and the little blurb about my gift wrapping cart on the HGTV website. I love it! The full article / gallery is: 12 Clever Christmas Decor Storage Ideas. You should definitely check the full gallery out. There are tons of good ideas in there, and with the holidays coming up, some of them could definitely be useful.